Dimensions: 7-1/4 x 9-1/2 in. 80 pages. 100 color photographs. Paperback. Cute-as-can-be, buttery macarons capture the whimsy and elegance of Paris, where they're traditionally served with teaor wrapped up in ribbon to give as a gift. But the secrets of making perfect macarons have long eluded home bakersuntil now! 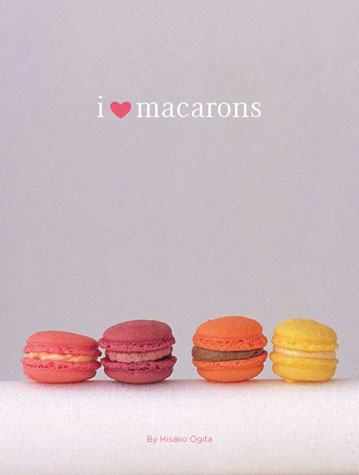 In I Love Macarons, renowned Japanese pastry-maker Hisako Ogita brings her extensive experience to the art of baking macarons with fully illustrated foolproof step-by-step instructions. This charmingly designed guide is sure to have pastry lovers everywhere whipping up these colorful confections at home, using ordinary baking equipment and simple ingredients to create myriad flavors of perfection.